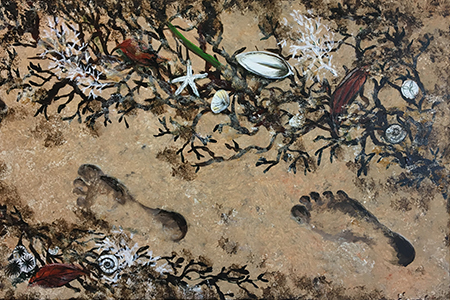 Gathering its members and other artists from North Queensland, in one of the largest group exhibitions in the Cairns cultural calendar, Cairns Art Society presents their annual, Artists of the North exhibition. This year’s theme is ‘Free as a breeze’. We live and breathe amongst Australia’s most stunning scenery. We are a precious gem with rainforests, reefs, mountains and beaches. So, take a moment, have a seat, take a deep breath, close your eyes. Imagine you're alone, feel the freedom of a bird dancing through the air, a wildflower gently bending to a puff of wind, a cat lies on its back in the sun, you are dancing to your favourite tune, twirling and spinning with arms outstretched, just imagine, there are no boundaries, no restrictions, can you feel it... you are as ‘Free as a breeze’. Now, we challenge all artists to express this feeling, through art.